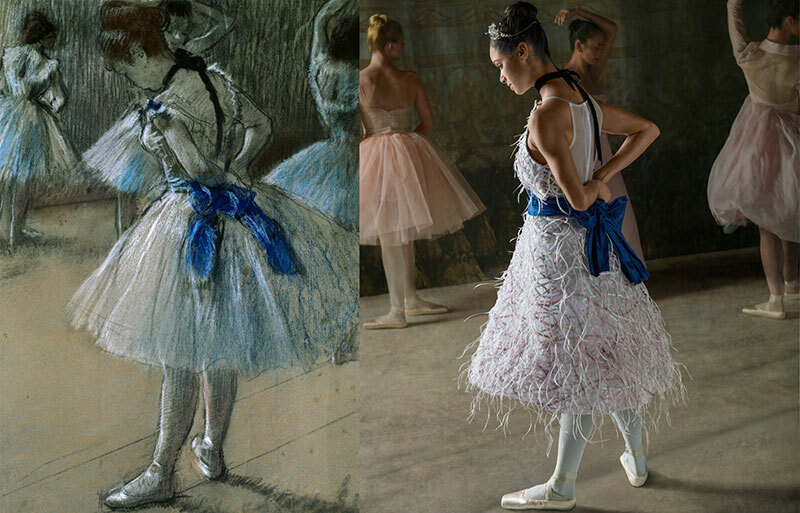 In this series of images by photographers Ken Browar and Deborah Ory, American Ballet Theatre principal dancer Misty Copeland helps recreate Edgar Degas' paintings and sculptures of dancers at the Paris Opéra Ballet for the March 2016 issue of Harpers Bazaar. 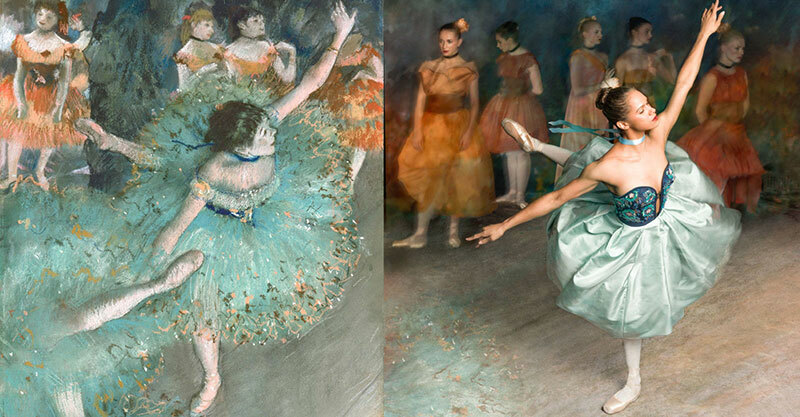 The magazine spread comes in advance of a new exhibition opening up at New York's Museum of Modern Art entitled Edgar Degas: A Strange New Beauty. Ken and Deborah are also the founders of the NYC Dance Project, a site that showcases the wonderful world of dance and dancers as well as merging their experiences and creative passions to create unique and beautiful portraits of the dance community. 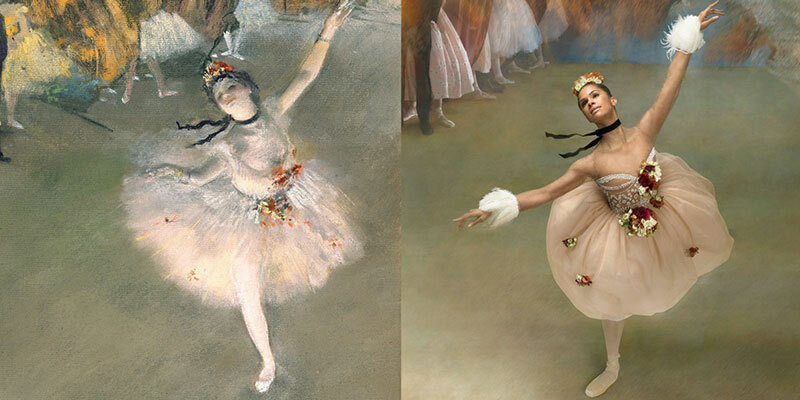 In this series of images by photographers Ken Browar and Deborah Ory, American Ballet Theatre principal dancer Misty Copeland helps recreate Edgar Degas' paintings and sculptures of dancers at the Paris Opéra Ballet for the March 2016 issue of Harpers Bazaar.